AMP is a high-level program for local high school students seeking a career in advanced manufacturing. 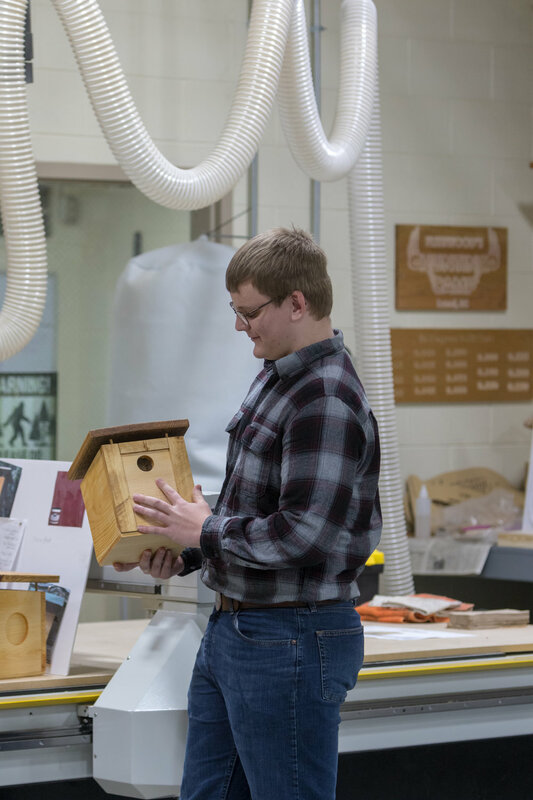 Class of 2019 designed, developed, and produced three unique projects designed to further advance their skills in the advanced manufacturing and woodworking industry. Each coaster represents the student designer’s inspiration behind their project. Read more about their design below and thank you for your support! 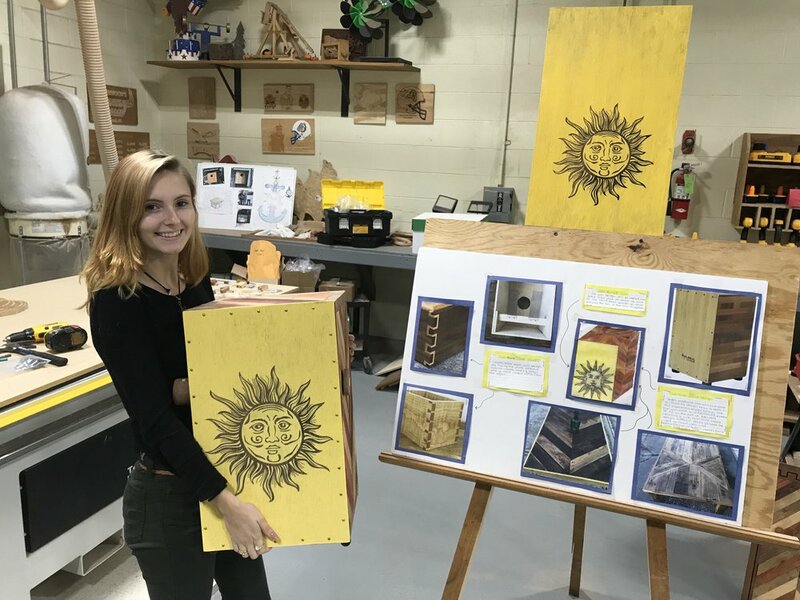 Inspired by her passion for suns and her favorite color yellow, Kyleigh’s design won most creative among her peers to be mass produced for their second semester manufacturing project. The sides of the Cajon were inspired by wood pallette projects for the wood look and combined with the herringbone shape to create a elegant rustic look for the sides and top made from sapele wood which is great for Cajon’s for its rich and tonal wood properties making a great bass sound that drum’s are known for. Then we made a pine inlay that creates the herringbone shape to draw the eye down the side of the Cajon stained different colors. Inspired by Maryland’s Eastern Shore, Cody’s design was inspired by the beauty of the bay. A beloved tradition of the shore, boating and crabbing are what we are known for. 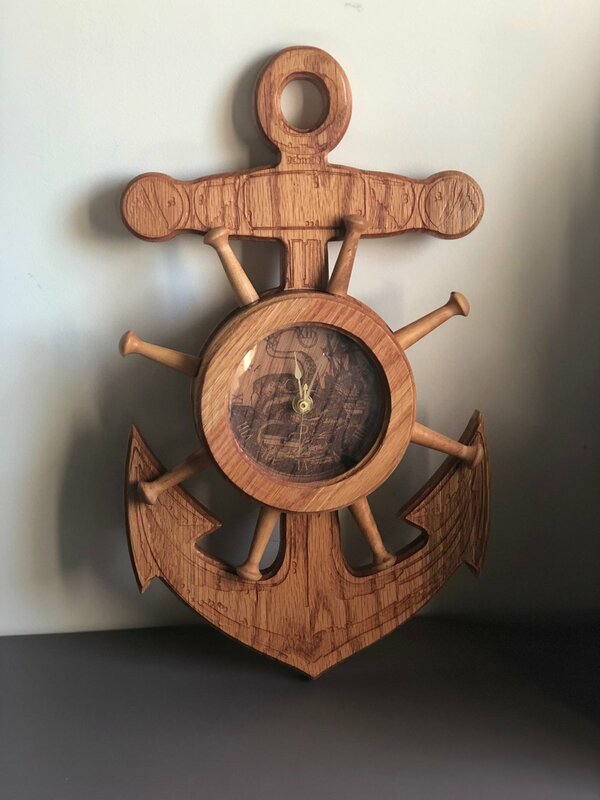 A symbol of stability and strength, the anchor is made of oak with an all natural finish. Following the same manufacturing process as the Cajon and bird house, once research and design was complete, the class came together to develop a production plan from CAD and CNC to assembly and sanding and finishing techniques. On top of production, students were responsible for completing a cost analysis to determine the price and then developed a plan to market and sell each one.